Portrait Of Fluffy Domestic White Highland Straight Scottish Cat Isolated On White Studio Background. Cute Kitten Or Pussycat With Big Yellow Eyes. Copy Space. Foto Royalty Free, Gravuras, Imagens E Banco De Fotografias. Image 113058778. 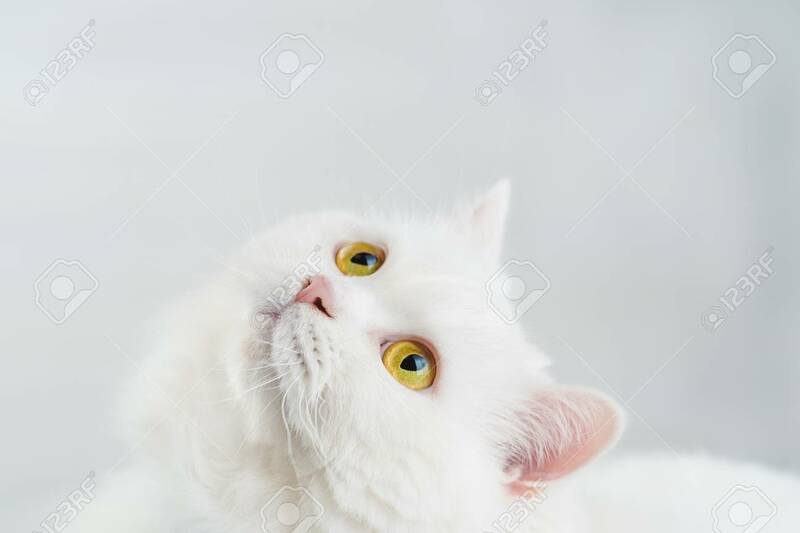 Banco de Imagens - Portrait of fluffy domestic white highland straight scottish cat isolated on white studio background. Cute kitten or pussycat with big yellow eyes. Copy space. Portrait of fluffy domestic white highland straight scottish cat isolated on white studio background. Cute kitten or pussycat with big yellow eyes. Copy space.